Oddly, I never got around to publishing this review, despite having it ready to go a couple of months ago. 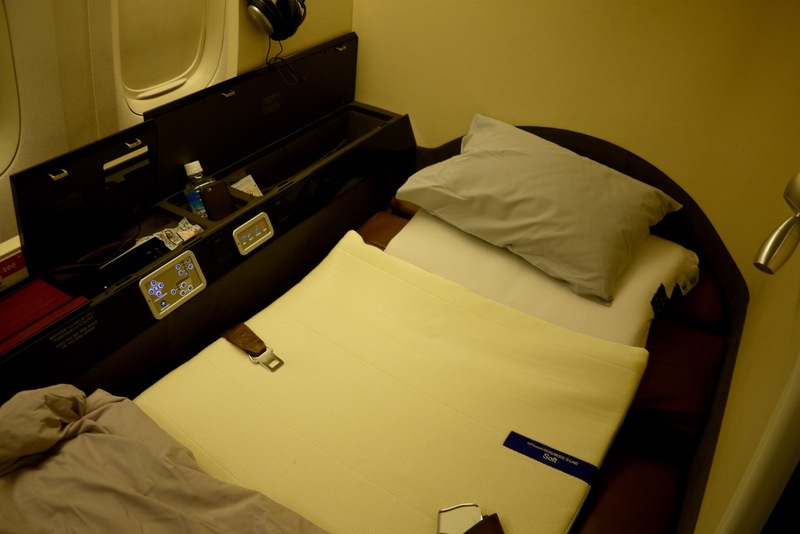 Regardless here goes – my take on the overnight return experience of First Class in Japan Airlines. 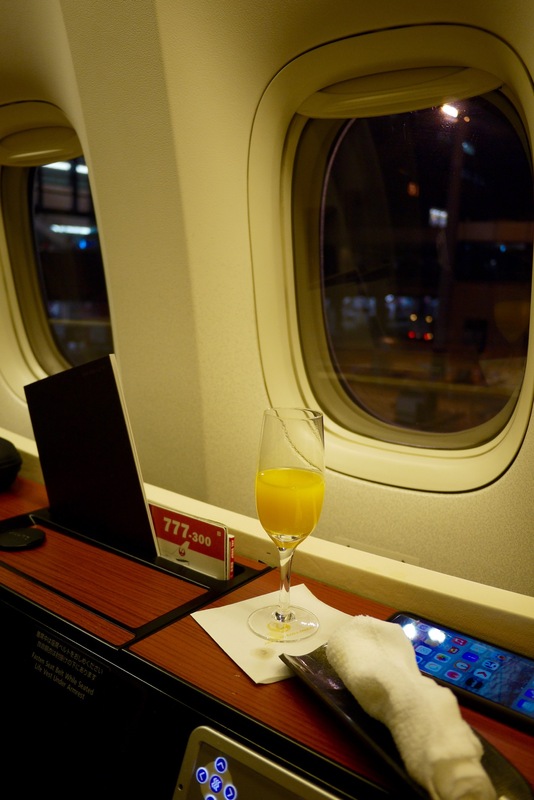 JAL are once again offering First Class on their Boeing 777 flights from Sydney from December 2015 onward, so if you can find a seat, I’d thoroughly recommend it. 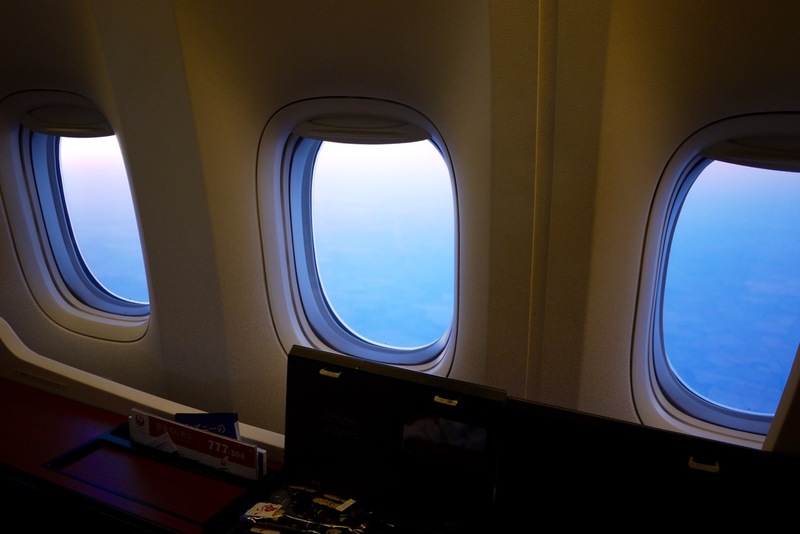 You can also check out the outbound review of daytime flight from Sydney to Narita here, which is more thorough given the time available to enjoy the experience in daylight. This review is not so long – in terms of imagery, at least – given my preference for sleep on this 8.5 hour overnight flight. 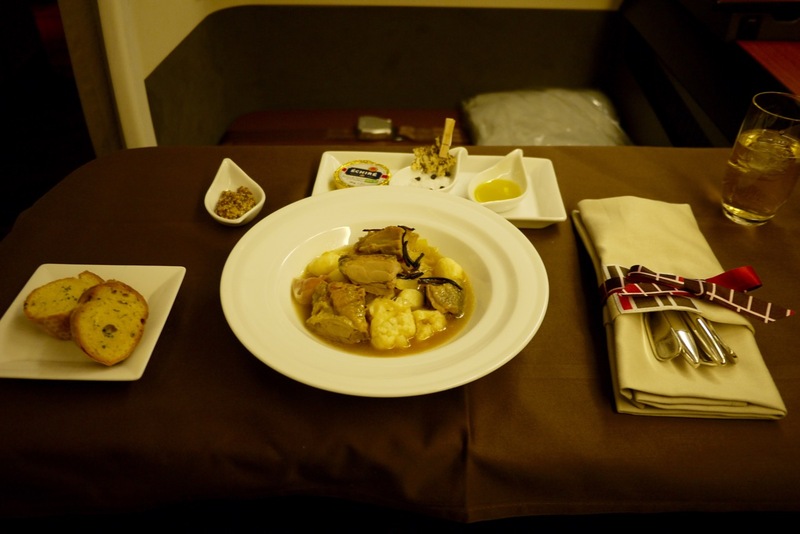 For more on the Japan Airlines First Class experience, definitely read my first review for more. 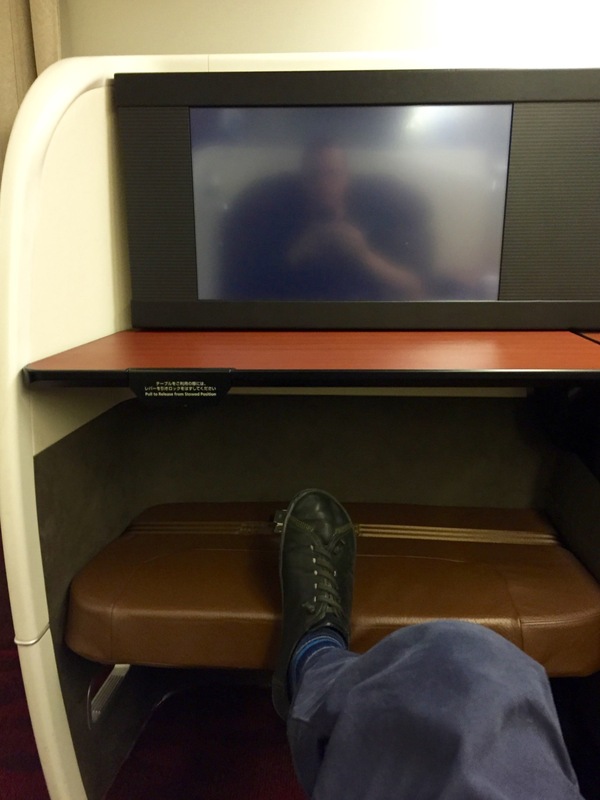 I originally couldn’t find any Business or First Class award space on either Qantas or Japan Airlines for my return trip, so I booked a Qantas Premium Economy fare home. But then, as often happens, a seat opened up a few weeks away from departure and I snagged it using 108,000 Qantas Points. For a fare that would otherwise have cost over $5,000, this was a good redemption at nearly 5c per point in value. 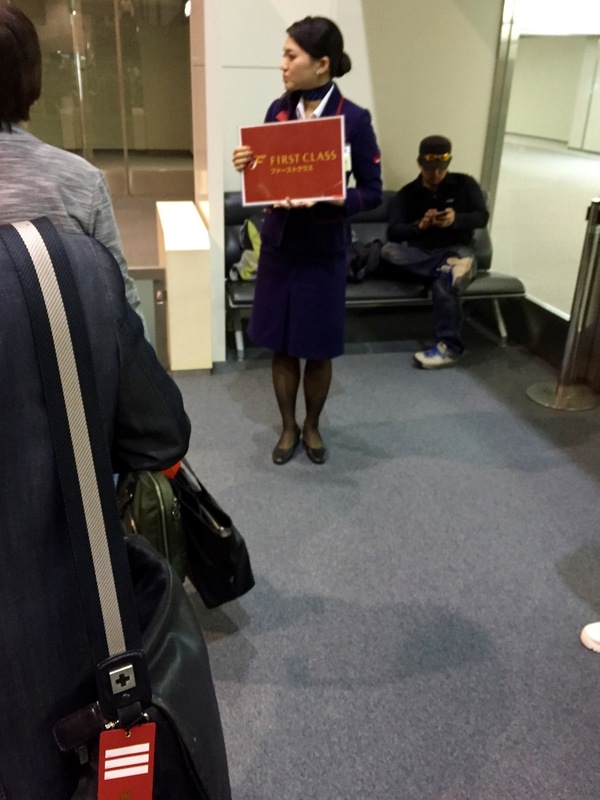 After leaving the Japan Airlines First Class lounge, I took the 5 minute walk toward the gate and lined up for boarding in the typically well-organised gate area. 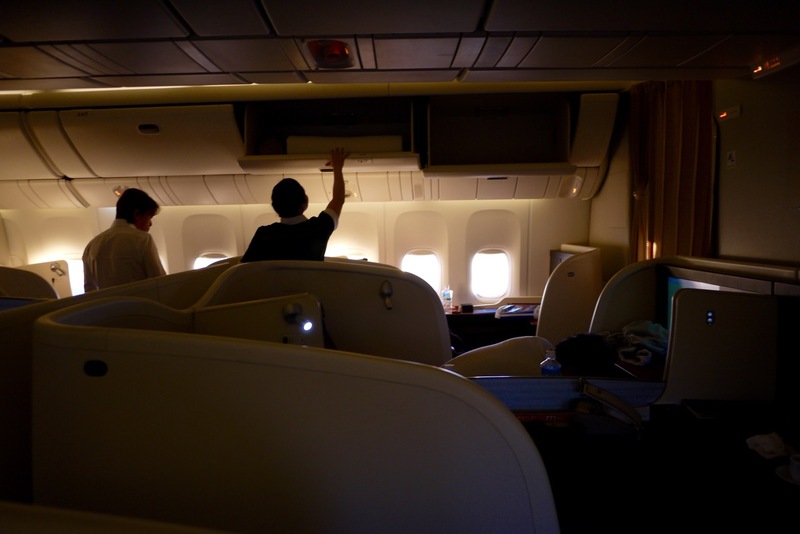 After a 5 minute delay, the First Class passengers were heading off to board, and I got comfy in the suite which I was familiar with from the trip up from Sydney a week before. After take off, I quickly selected and requested my meal option. The crew were a bit taken aback my me not wanting the full 5 course meal but given the good food I’d had in the lounge before, I was keen to get to sleep. I selected the Pot-au-Feu Guineafowl, Coarse-ground Sausage & White Vegetables. It was visually very unappealing! It tasted pretty good though, and filled me up (along with some garlic bread) to get me ready for bed around an hour after take off, maybe a little longer. This was much earlier than anyone else in the cabin, but given how busy the week prior was, I was happy to get some rest. At this point the crew also handed out some french macarons which I decided I had to try my hardest to keep as a gift for my family. It was tough. The bed was then made up with the reversible mattress pad – with soft and hard sides. I could have used another pillow, but otherwise it was pretty luxurious. Not pictured: me in my Japan Airlines First Class pyjamas, which are as thick as proper sweat pants – along with a matching grey top. These were also given out on the flight up from Sydney. 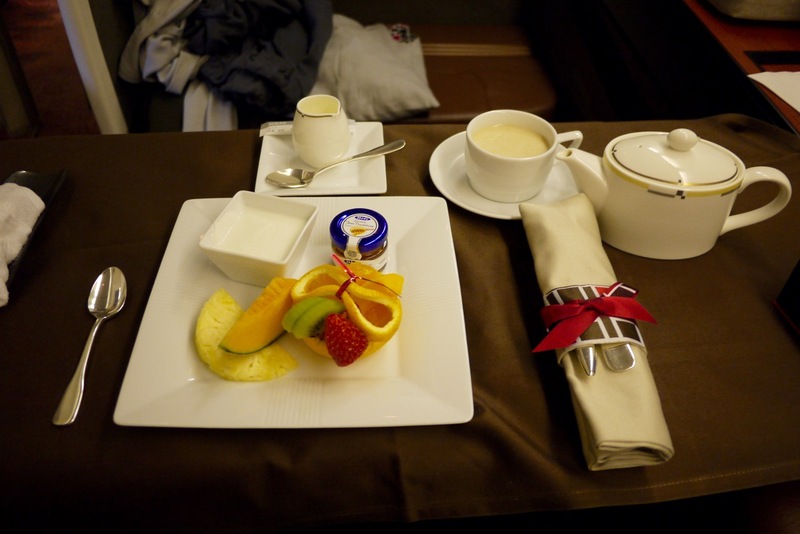 Unfortunately the thick pyjamas and the super-hot cabin had me waking up in hot sweats within a couple of hours. I asked for the cabin temperature to be turned down, and the crew were very happy to help, but at best I slept fitfully until a couple hours out from landing. On waking, I opted for a light breakfast (my preference, with only the first course shown below). Breakfast was unremarkable, clearly, as I totally forgot to take a picture of the other food on offer. Finally, I think it’s also worth showing the First Class cabin again, to show just how private it is – despite not offering fully-closed suites like Singapore Airlines or Emirates A380s, Japan Airlines First Class is really nicely designed, hiding you away from the rest of the world unless someone is walking past. 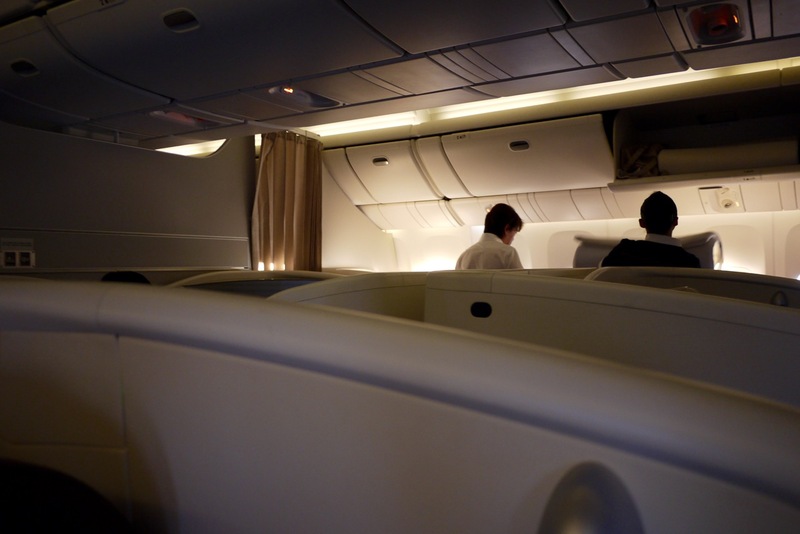 This was a mixed experience, given the lack of great sleep I got on this flight – despite having one of the best beds in the sky, it was spoiled by the overly warm cabin temperature. I’ve read others also report that this is common, so maybe next time I would ask in advance for that to be kept as low as they permit, or to bring your own, lighter-weight pyjamas on the plane with you. Otherwise, the service once again was excellent – the crew didn’t miss a beat responding to any request. The food was good, but not 100% to my taste right then and there. But that’s OK, it was more me, than them. Hi Keith, the hot cabin temperatute seems to be a consistent feedback from many travellers. Not sure why they don’t maintain a lower temp rather than bake you. Was the cabin full by the way? 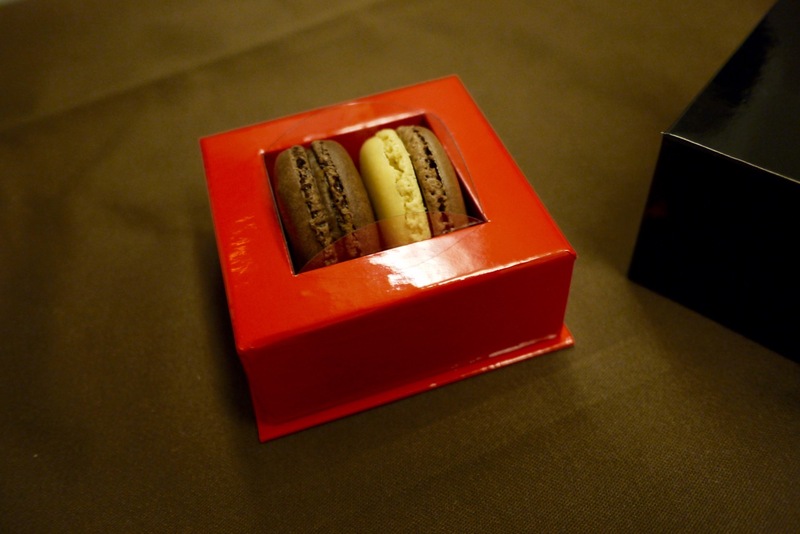 But overall it looks like its a solid F product and those prized macaroons must be very tasty! 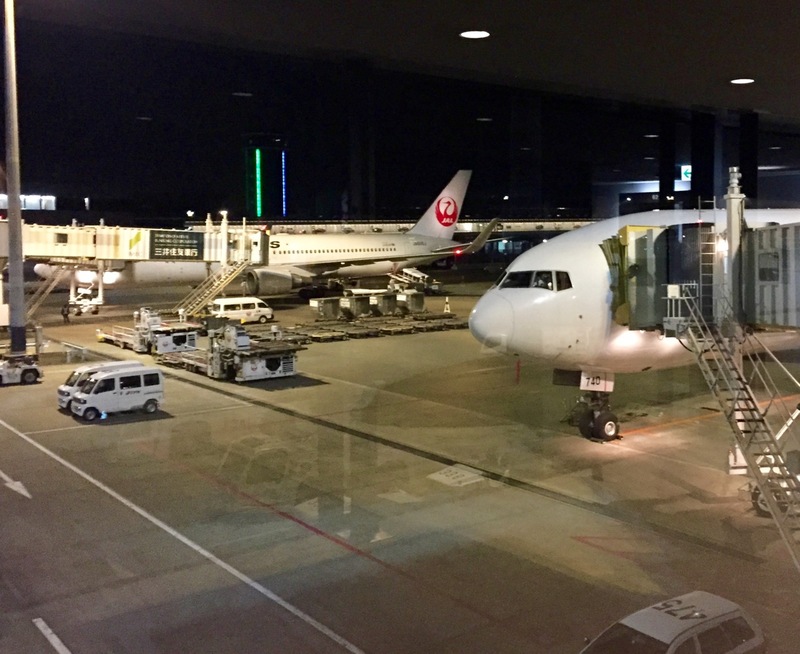 Small request – I always reckon the pre flight or lunge experience is 20% of the pleasure of flying First – some more detail on the JAL First Lounge would be helpful? 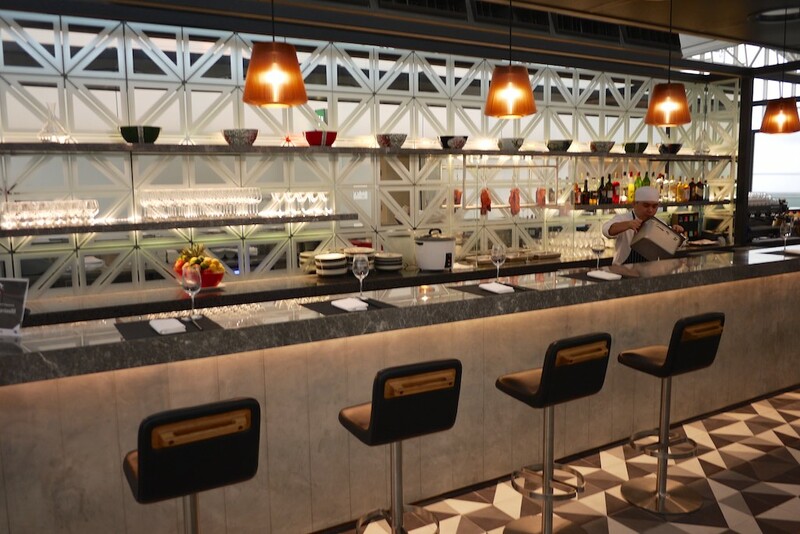 Etihad, for example, have the best inflight experience on the planet… and yet they borrow the Air NZ lounge in Melbourne… perhaps the worst lounge on the planet – replete with 8 ball table, Bro! I did write this one up in a fair bit of detail here – hope it helps. 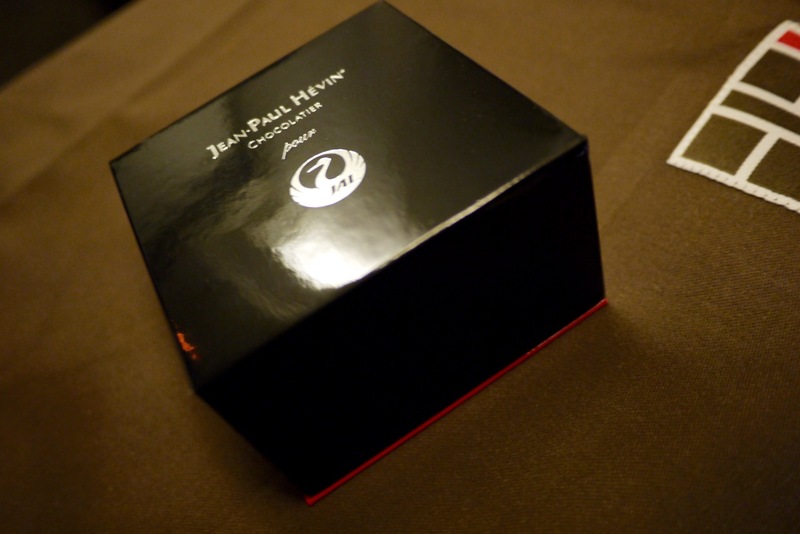 I can’t wait to try this product in March.